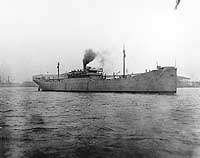 During World War I the U.S. Navy acquired nine specialized mercantile colliers that had been built primarily for the coastal coal trade. 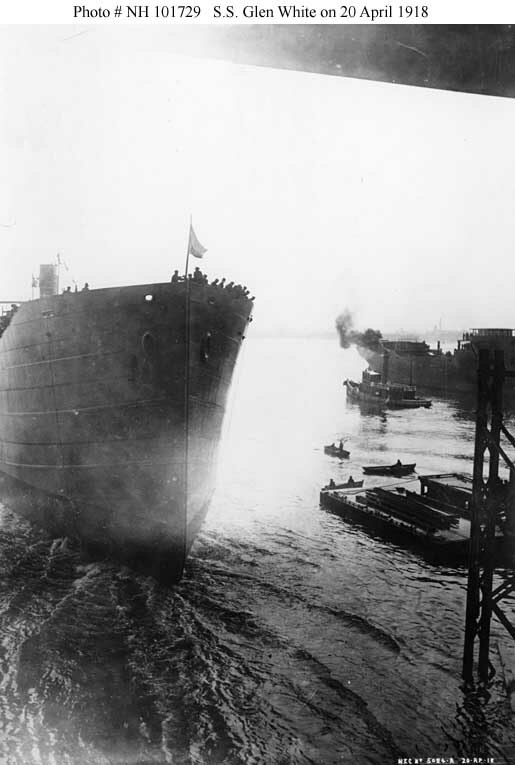 These tended to be bulk cargo ships with large hatch covers, sometimes handled by numerous pairs of short kingposts, to allow rapid loading at coal piers. 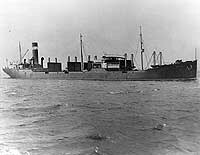 Although designed to carry coal in bulk, the Navy used them (along with some of its own specialized colliers) to carry oversized cargo to the Army in France. This page features a table (with links to individual ships) of World War I era U.S. Navy colliers of specialized mercantile types, plus a photograph of each ship in this group. 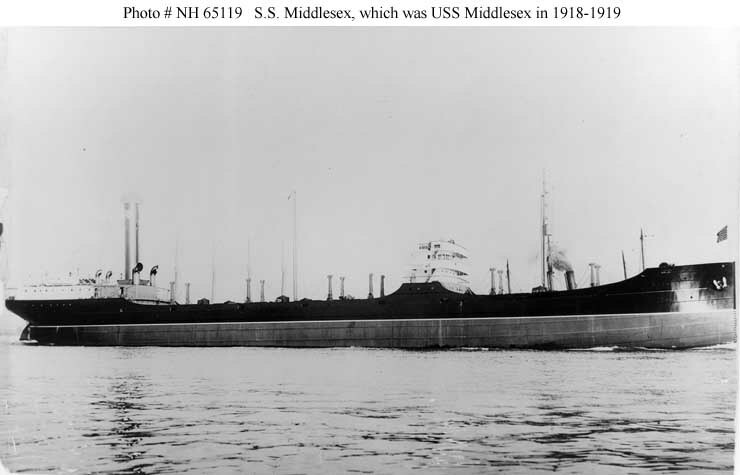 Middlesex, USN 1918-1919 (ex American S.S. Middlesex, 1912). 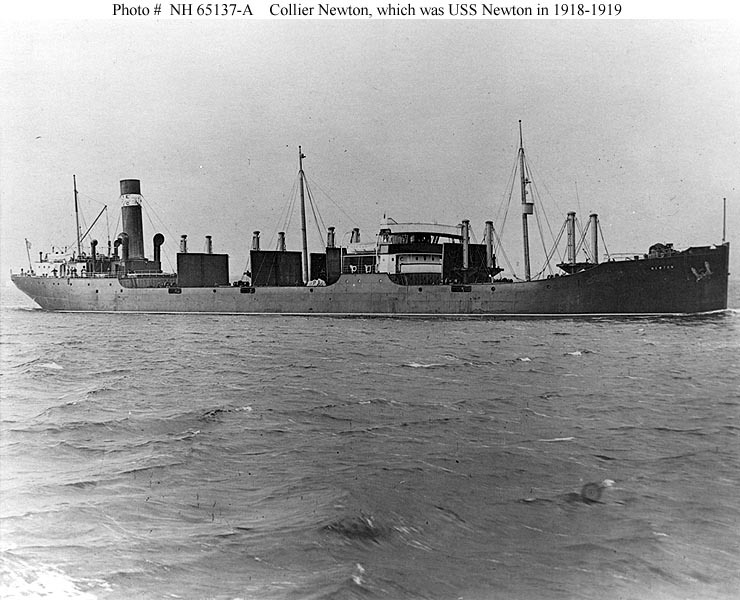 Newton, USN 1918-1919 (ex American S.S. Newton, 1911). 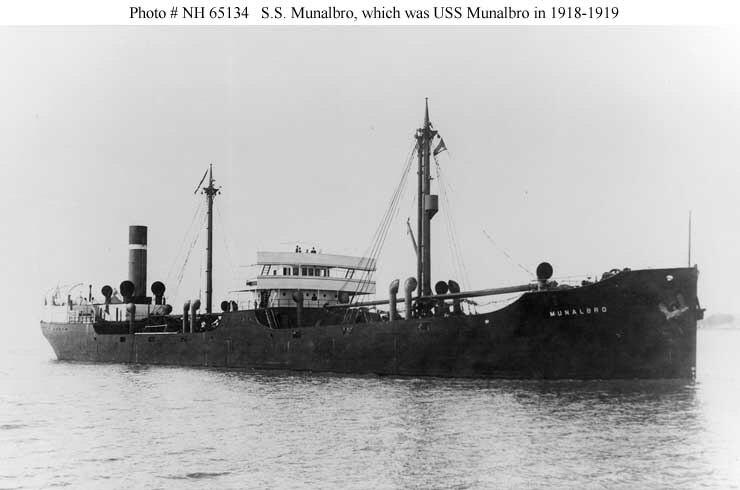 Munalbro, USN 1918-1919 (ex American S.S. Munalbro, 1916). 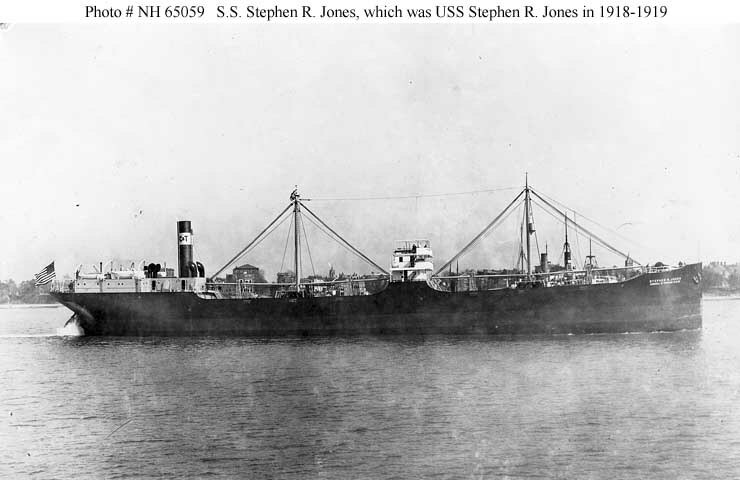 Stephen R. Jones, USN 1918-1919 (ex American S.S. Stephen R. Jones, 1915). FIVE SHIPS -- New York Shipbuilding Co. 377-foot collier type. These ships had up to six pairs of short posts on deck for handling their oversized collier hatch covers. 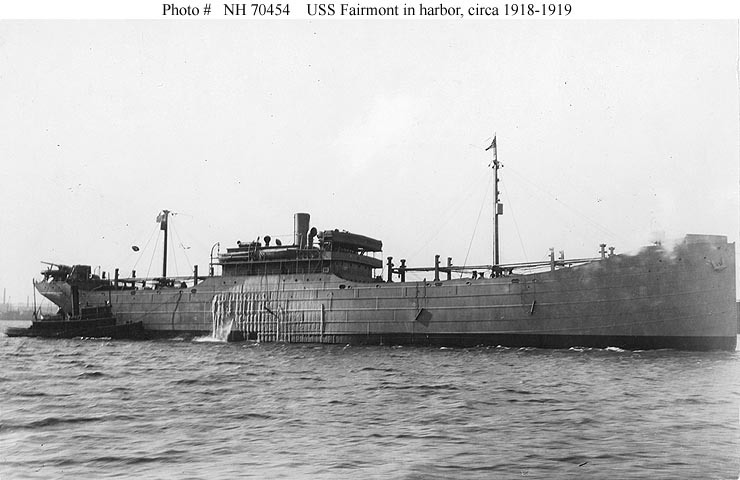 Fairmont, USN 1918-1919 (ex American S.S. Fairmont, 1917). Glen White, USN 1918-1919 (ex American S.S. Glen White, 1918). 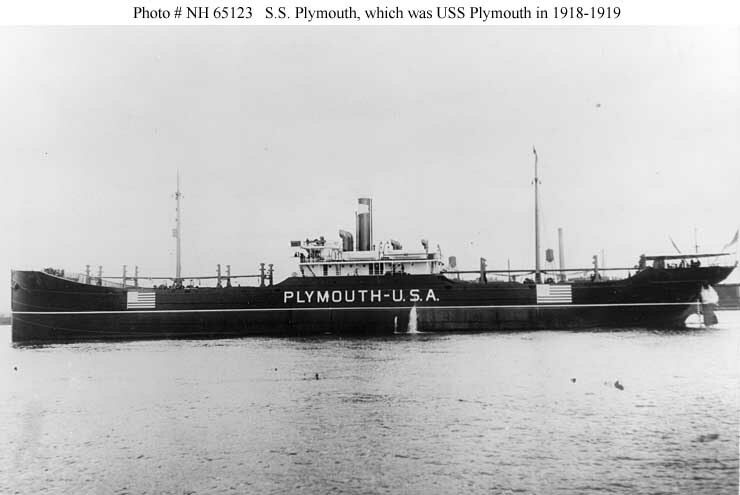 Plymouth, USN 1918-1919 (ex American S.S. Plymouth, 1915). 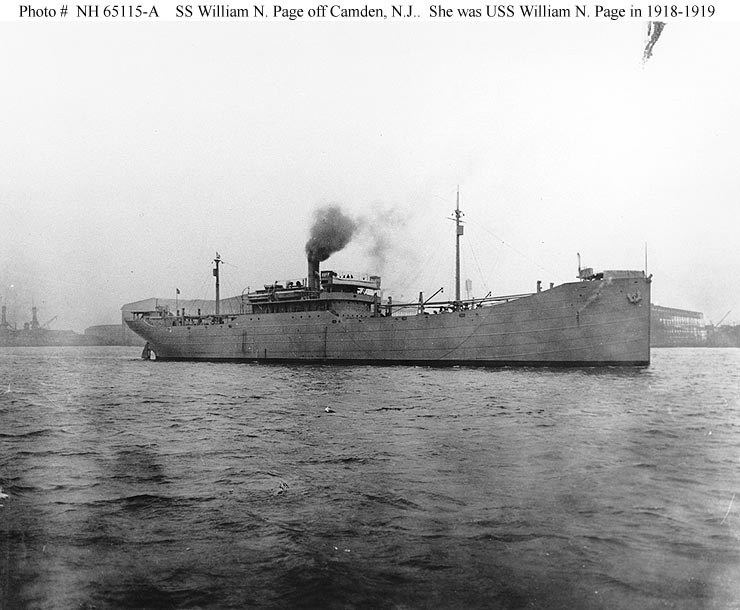 William N. Page, USN 1918-1919 (ex American S.S. William N. Page, 1918). 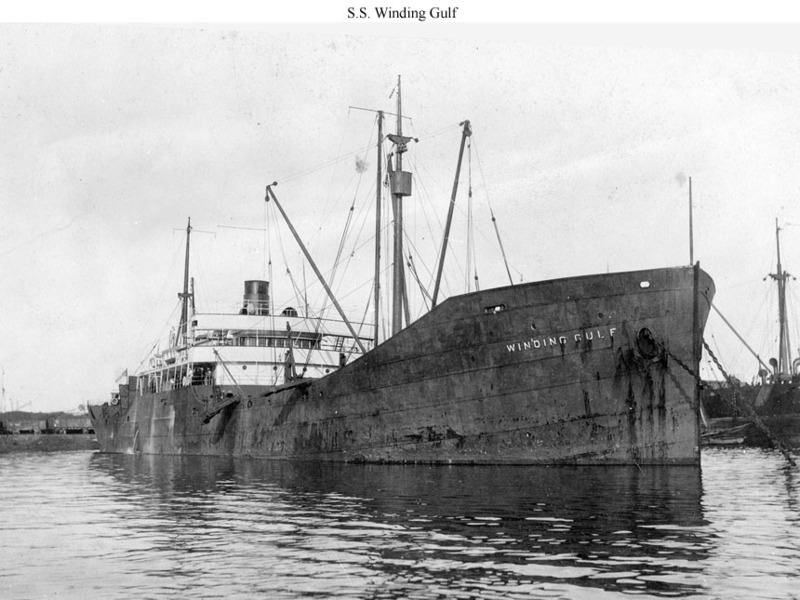 Winding Gulf, USN 1918-1919 (ex American S.S. Winding Gulf, 1918).